Well done to everyone who participated in the first performance of the Shirley Community Gospel Choir! 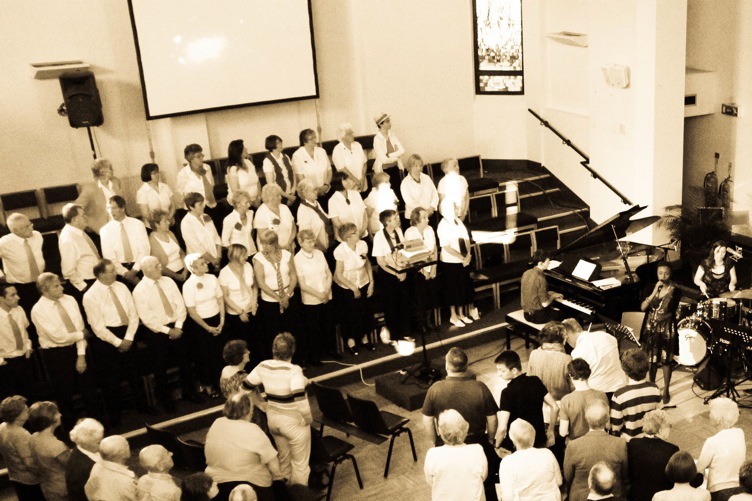 The choir performed two songs (‘Speak to me Lord’ and ‘Sanctuary’) at Jazz Church last Sunday. For pictures and eventually a recording visit www.jazzchurch.org.uk . If you are interested in joinging the choir then please come along to our next rehearsal on Wednesday 14th July.